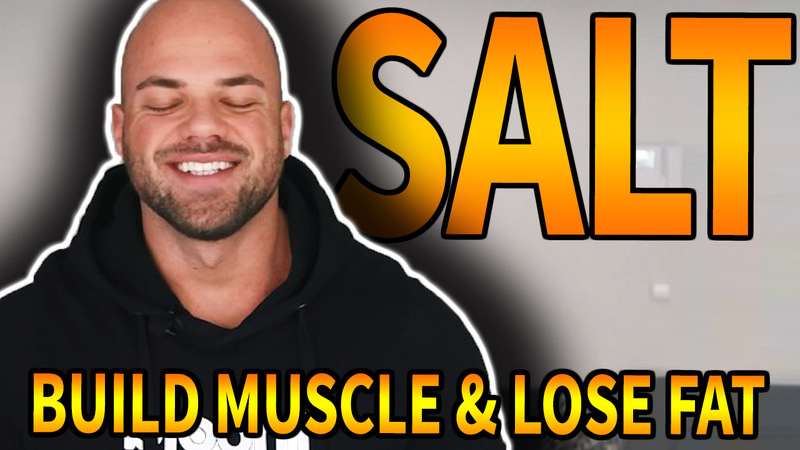 In this video I’m going to share with you the importance of sufficient salt intake and all the benefits you are missing out on by not using salt properly. I’m also going to share with you if salt is actually unhealthy, and I’m going to tell you how much to take. There are a lot of misconceptions about salt and also I was guilty of believing and following the false information. 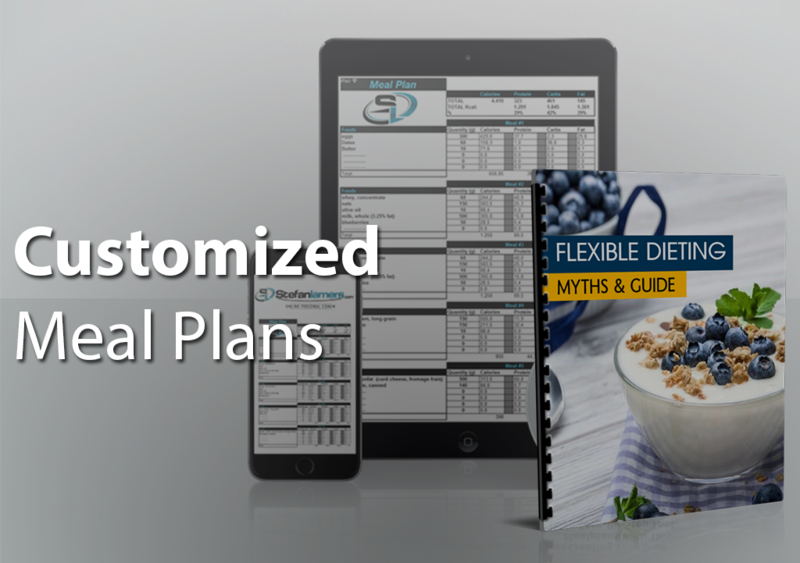 Years back when I first started cutting I thought that I had everything planned out: I would remove all the sugars, remove all the salt, remove all the seasonings, and sauces and I thought that my body would transform in just 1 week. I would lose multiple pounds of fat, the subcutaneous water, the water beneath the skin, would go away and my muscles would finally pop out and I would look more muscular than ever. That didn’t happen unfortunately and instead of that, my muscles would deflate, they wouldn’t look as hard or full and I ended up looking more skinnyfat than I already was…and on top of that, my strength dropped and I was tired as hell. I know a lot of you can relate to this. The biggest mistake was to remove all my salt. I saw salt as the enemy just like the vast majority of the fitness community. Nowadays, when I want to lose weight, the last thing I do is lower my salt intake. In fact, I increase my salt intake. I even sprinkle sea salt in my preworkout shake. So let’s talk about all the benefits that you are missing out on right now if youre not monitoring your salt intake. When we are talking about the benefits of salt, we are actually talking about the benefits of sodium. Sodium is one of the electrolytes that salt is made up off together with chloride. Sodium increases blood volume. Which will help your body to deliver more oxygen and nutrients to the cells… which repairs the cells and remove waste. Sodium influences the absorption of nutrients such as amino acids, glucose and water. Thats one of the reasons why I combine dextrose (which is glucose) and seasalt in my preworkout shake. Sodium allows athletes to hold more water in the muscles which increases strength and explosiveness, and it helps improve the integrity of the joints. Most fitness enthusiast will know that replenishing your electrolytes is important after a long workout , think about endurance athletes such as runners drinking aquarius or something similar, but maintaining optimal electrolyte levels throughout your workout is just as important and can really increase your performance. There’s also nothing unusual about cramping, as a result of electrolyte imbalance, ruining an athlete’s performance. It happens at the highest levels and it shouldn’t. It is preventable. Sodium intake should be as closely monitored as protein, fats and carbohydrates. So, If you’re on a ”If It Fits Your Macros” diet, make it a ”If It Fits Your Macros and sodium” diet. You might ask ”isn’t sodium unhealthy?”. Absolutely not, quite the opposite. The largest studies done on sodium intake all showed that an increase in salt results in a decrease in cardiovascular disease and all-cause mortality. In fact, the highest rates of all-cause mortality were found in the groups that restricted sodium intake. Now there is a small percentage of the population that is sodium sensivity. Just like there are people that are lactose intolerant or have peanut allergies or gluten allergies. But the research suggests that it’s a small percentage that will have adverse effects from increasing their sodium intake. Those athletes should monitor the effects of sodium on their health. When you initially increase you salt intake you will realize some water retention and so your body acclimates to the increased salt intake. But it will normalize and you will see all the benefits. So to sum it up: If you’re physically active, drink plenty of water, not overweight and not sodium sensitive or any other predisposed health condition… sodium will not harm you. Now what kind of salt/sodium should you be taking? Table salt and sea salt have the same basic nutritional value, they also contain comparable amounts of sodium. I prefer sea salt however because of the way it is produced, usually with little processing, especially when you compare it to table salt. Also, don’t overlook iodised salt. Iodine is another largely misunderstood nutrient which has important health benefits. Thyroid disease: which results in a slowed down metabolism, weight gain, fatigue and other symptoms of hypo-thyroidism. That’s the reason why the government added iodine to table salt to reduce iodine-deficiency. Just like the way they add B vitamins to cereal and butter, to fight nutritional deficiencies. How Much Sodium Should You Take? Well I’m very active, train almost daily on top of doing cardio every day and sweat alot. So I salt all of my meals. I might also eat a couple pieces of bacon with breakfast and include about 2 grams of salt in my preworkout shake. This will result in about 10 grams of sodium a day. Now, I believe athletes should take 4 grams of sodium for every 2 liters of water that they drink. (Thats about half a gallon if you refuse to use the metric system). A disciplined athlete or those that are dieting tend to not eat fast food or processed foods. So they are already limiting their sodium intake. Adding to that is they drink a lot of water which also tends to further dehydrate them by flushing out valuable minerals and electrolytes. So their performance suffers. Often times athletes will reduce or eliminate carbohydrates for a period of time. Water binds to carbs in the muscle so when there’s fewer carbohydrates there’s less water and there’s an increased likelihood of cramping and decrease in performance. Sufficient sodium intake can solve all of these problems and drastically improve performance, decrease fatique and increase blood volume for better recovery. This is especially true for women who are preparing for shows and trying to lose weight. Don’t restrict sodium. It doesn’t affect body composition. The muscles will deflate and pull away from the skin in addition to being tired as hell, you’ll lose definition and you’ll look skinny fat. Then you’ll suffer from water retention after the show and blow up like a balloon. If you deplete carbs and salt for a week to fit into your favorite bikini, you’re just losing water, not fat and it will all come back. Don’t restrict sodium thinking it affects body composition. It’s a myth. You’re just losing water, not fat, and it will all come back. 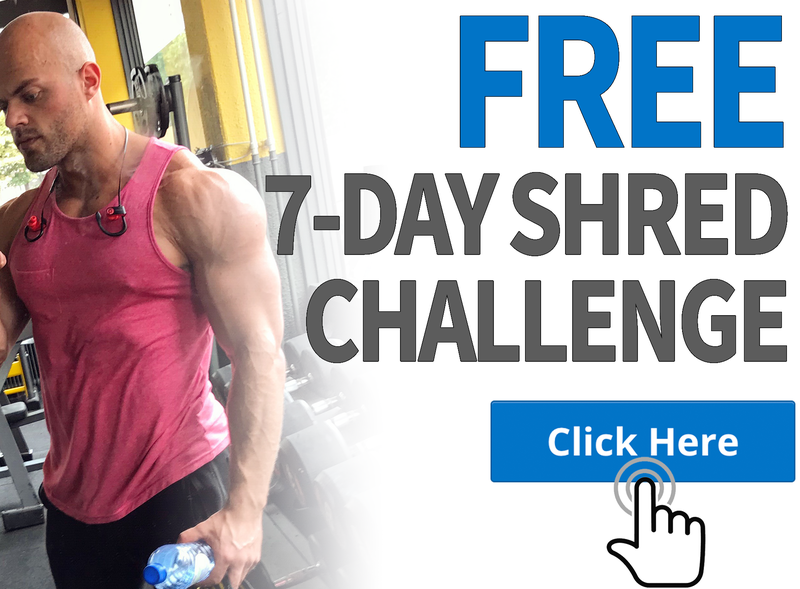 Do you want to learn how to shred all your fat while building muscle? CLICK HERE to join my 12 Week Transformation Program!